Foil camp running ten weeks this summer. Register now. My love of fencing began over 30 years ago as a boy growing up in Forest Hills, NY. I began fencing as a freshman in high school and by age 17, I was ranked 9th in the nation (not bad for a short Jewish boy from Queens). I studied at Salle Santelli. It was there that I received my formal education and was imprinted with the legacy of 500 years of classical fencing knowledge. I also fenced at the NY Fencing Club. During that time I was honored to watch Peter Westbrook train for the 1984 Summer Olympics; he went on to win the bronze. Peter was a role model for "work ethic." I recall the one and only time he spoke to me. He asked me, "How are your grades in school?" I said "fine," but it wasn't true. In reality, I struggled terribly in school. At the time, I didn’t realize that I’d been given a gift and a responsibility to help keep this ancient art alive and thriving. I've been blessed with the opportunity to give back and I've chosen to do it right by building a state-of-the-art facility, hiring talented coaches, and executing a long-term strategic plan with student succession. 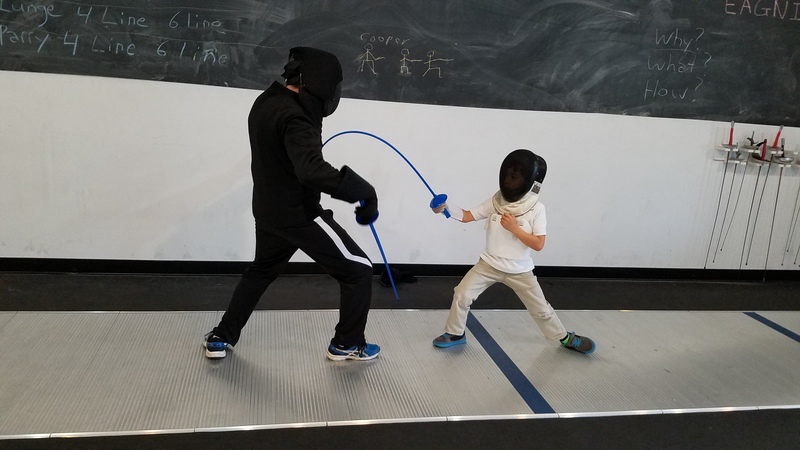 From an early age, fencing provided me the opportunity to hone many skills beyond the blade. These skills continue to serve me daily in my personal and professional life. 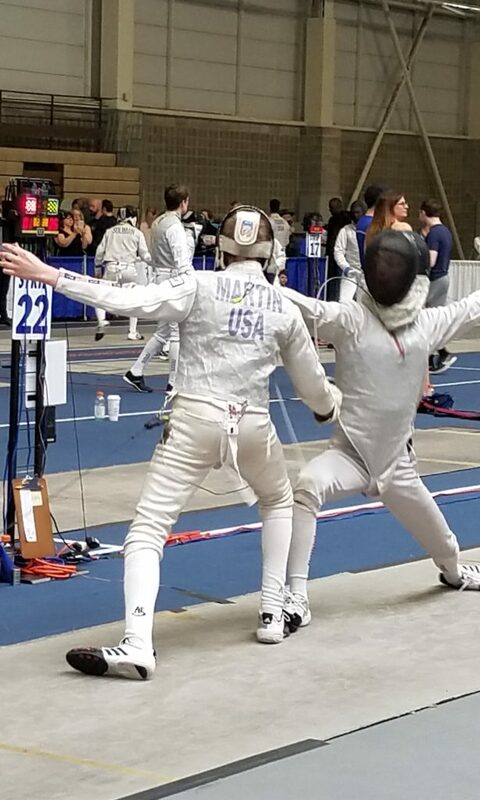 As was done for me, I'd like to use fencing as a vehicle to draw out the best of what each student has to offer, not only in sport but equally, in character. Practices are made up of both girls and boys Y10 (age 9) to Junior (age 19). 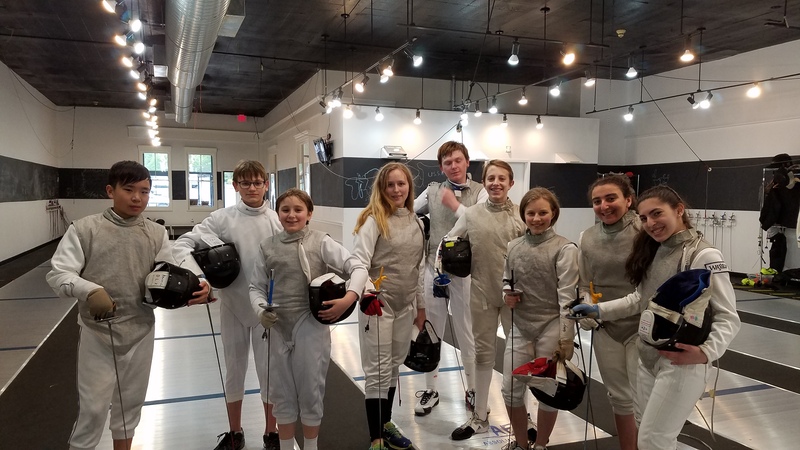 To properly prepare for competitive fencing we recommend attending practices at least two days a week with a minimum of one private lesson a week. The setting is eighteenth century France. You’ve been challenged to a duel: choice of weapon, the gentleman’s short sword. A time and place is set. The duel is not a battlefield where war is waged but a fight for honor with clearly defined rules and etiquette. The duelists fight to the death. Just as daunting as the fear of dying is the thought of dishonoring yourself and your family by a show of cowardly behavior. As a weapons form, the modern foil is a metaphor for order, self-control, and personal discipline. A specific set of rules govern the fencer and require him to engage in purposeful and logical tactics to defeat his opponent. Brute force is not used here. Rather, the foilist stands poised and, with a clear vision and a plan, is ready to attack and counterattack. The foil is our primary training weapon for beginner students as it serves as the basis for all the other forms.